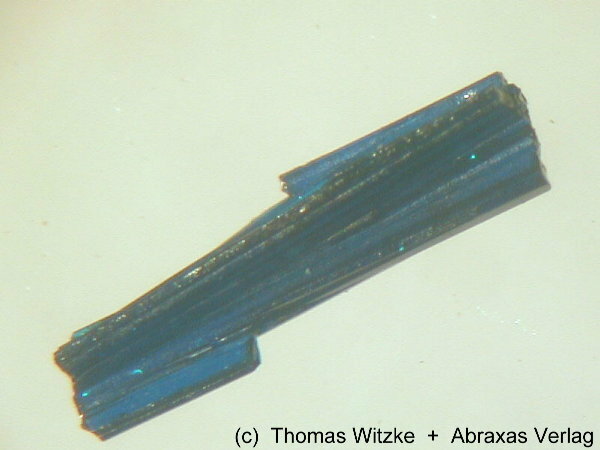 Comments: A blue crystal of buttgenbachite. Location: Likasi Mine, Likasi, Shaba (Katanga), Congo (Zaïre). Scale: Crystal length 3.1 mm.